April 28, 2015 ~ Trevis Dampier Sr.
Lettuce on its own can be extremely dull and even my vegan friends will tell you that. In order to make a salad delightful it needs to please the eye just like a pizza would, there needs to be smells that entice you, it must have pizzazz and boldness to it. Start with color first to catch the eye, add bright red to the salad with bell pepper and tomato. Then how about a little purple with a little purple onion. Now some darker green with avocado and maybe a bit of white and blueish green with blue cheese. You can even add fruit like pineapple and berries for more exotic colors. Bottom line is to just add tasty flavors that you enjoy that have a great color to them. By the time you finish these colorful decorations your salad will sit 10 feet high and now its time to dig in and experience salad in live action! 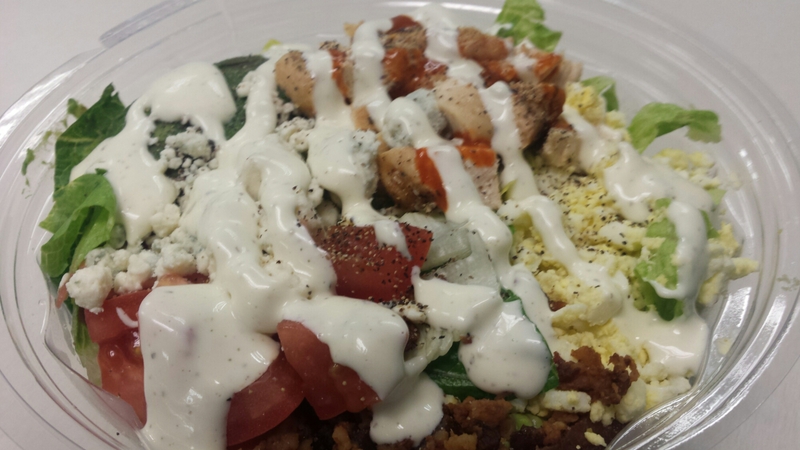 The Cobb salad is great for meat loving protein feeders who love tasty meats but want to be healthy as well. An entire Cobb salad will only be about 550-650 calories and if you are light on the dressing then maybe you may add an additional 100-150 calories to that. It is filling and desirable and will leave you in a moment of heavenly bliss. 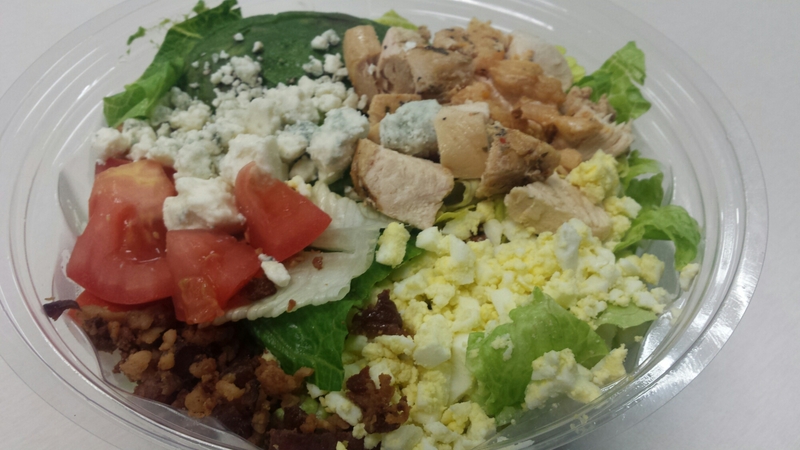 Birk’s has a fantastic Cobb salad which is so good I had to write about it. You like to hear it..here it go.. 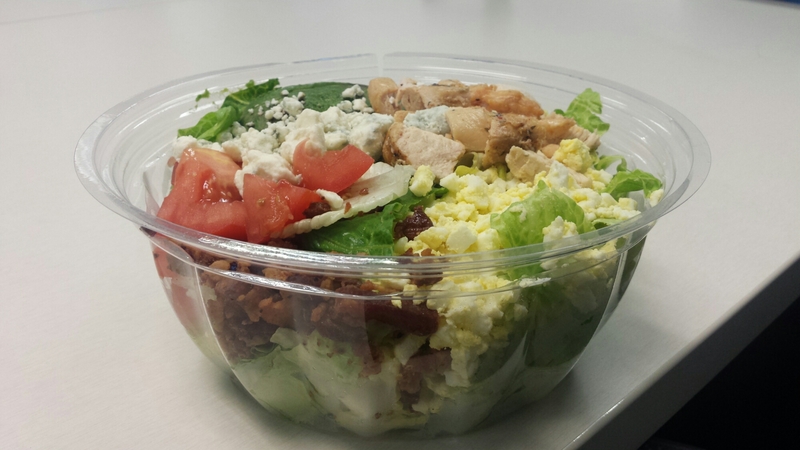 It contains romaine lettuce, applewood bacon, boiled eggs, blue cheese, tomatoes, avocado, and tender chicken. I like to add a little bit of hot sauce to the chicken, salt and pepper over it all with ranch dressing drizzled all over to make it complete. When all of these items are fresh and the chicken well seasoned and cooked to perfection with ranch or your favorite dressing drizzled over it; this meal ends up becoming a craftsmanship like no other. Every bite is a memorable crunch from the fresh lettuce with a slight chew of the bacon with a slight cool tang from the ranch dressing. Now my senses get a little spice from the hot sauce and juices from the delectable grilled chicken hitting my palate with a sliver of blue cheese participation that adds a slight sourness to the party as well. The party doesn’t stop in your mouth until every bite is complete and you are left in utmost satisfaction! True live action living! If you are not into salads then my suggestion is to start with a Cobb Salad. I guarantee you won’t be disappointed! < Previous I’ll get Poetic like Charles Dickens for some Barbecue Chicken! Next > I’ll Sing and Dance like P-Diddy for some Heavenly Tacos at Speedy! !